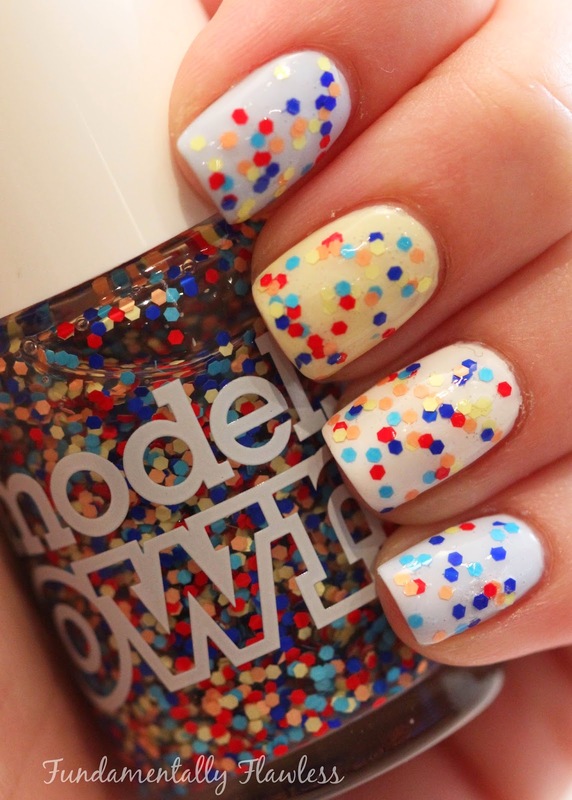 Models Own Microdots contains little hex glitters in red, royal blue, aqua blue, peach and pale yellow all in a clear base. I say glitter, but they're not shiny, they're matte - so are they still called glitter? I'll be honest, it's a little bit of a random mix of colours I think. 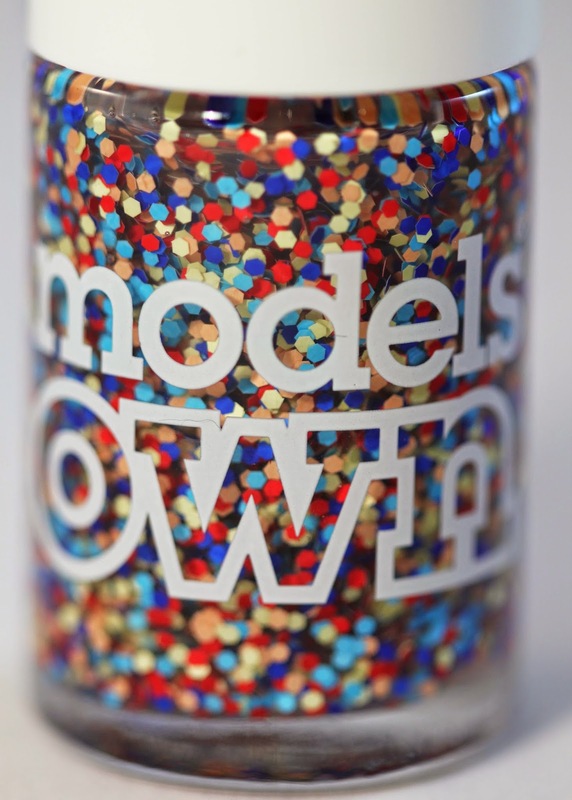 But it's nice to see Models Own giving a nod to all the indie polish makers around, who create polish like this already (TarasTalsons springs to mind, for example). The 'glitter' needed a bit of arranging on the nail - and I thought it was most effective with just one coat, rather than two which just looked messy. The polish took a bit of a while to dry, but with a quick dry top coat it solved the problem. I tried it over Models Own Banana Split (baby yellow), Models Own Blueberry Tart (baby blue) and Models Own Hypergel White Light to see which it worked best over... and I think it probably looks best over white - but it would probably look good over black too actually. I wasn't sure about it with the glossy top coat, but after I tried a matte top coat I loved it - I think this is definitely a glitter which works well being matte (since it's not actually glittery to start with). Which do you prefer? Overall? 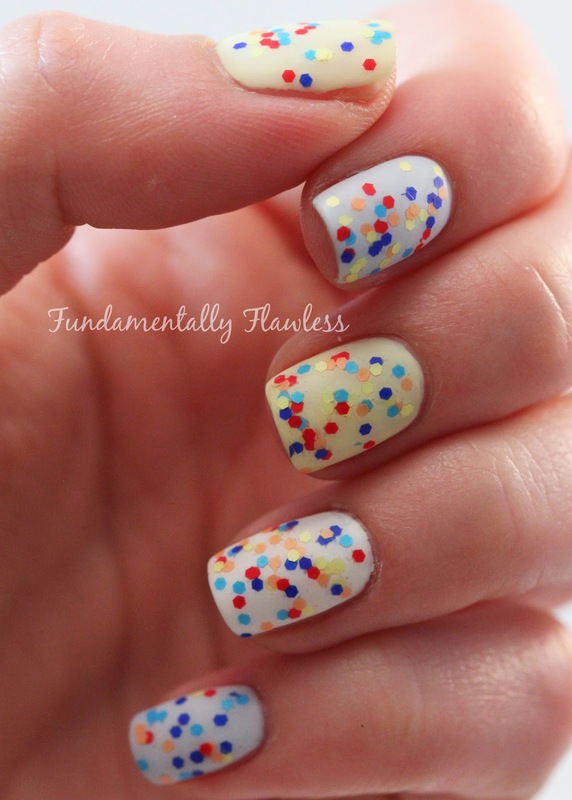 A really fun top coat to make a mani a bit more interesting. Admittedly, if I wasn't a nail blogger I probably wouldn't have bought it. I'm not a massive fan of this sort of topcoat, I would usually prefer to go for some sort of nail art - but this is definitely a quick way of spicing up a plain polish and I actually love the matte look I went for in the end. 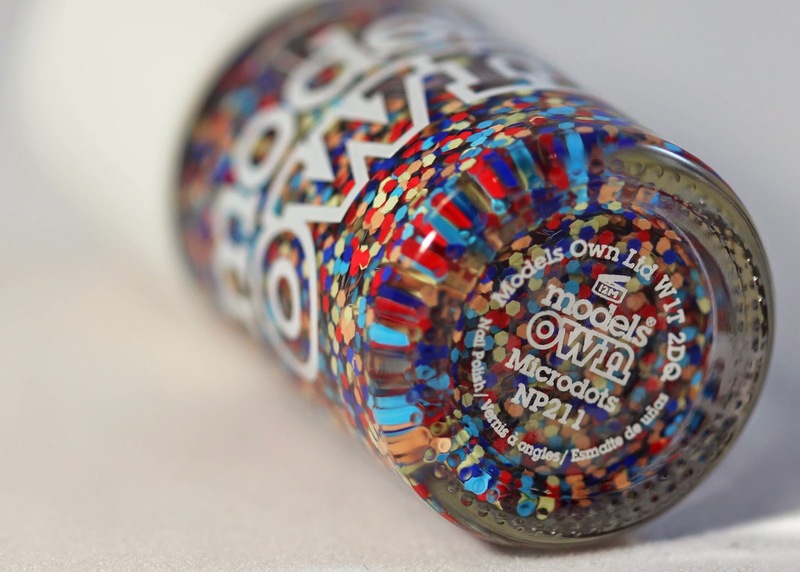 Models Own Microdots is currently only available at the Models Own Bottleshops, priced £5. Really nice swatches, glad I read this first though as I can see it definitely looks nicer with the matte topcoat! 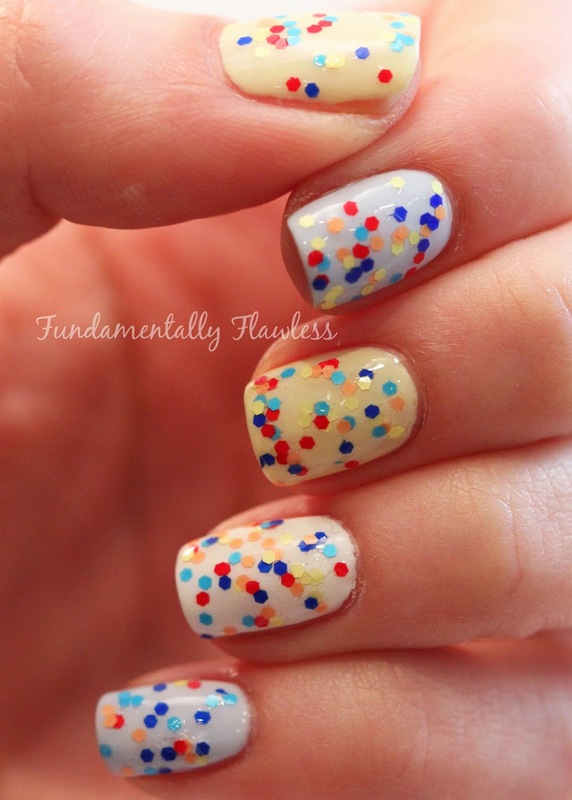 A pretty summery topcoat too, it kind of reminds me of the multicoloured confetti you get at New Years.